As a managed service provider, we often use the acronym ‘MSP’ to describe who we are and what we do. While this usually proves to be useful, it can get confusing when the term MSSP is thrown around as much as it is. While the two terms are very similar, the businesses they represent usually provide very different services. Today, we’ll explore what each term, MSP and MSSP, represents. While we’ve covered what ‘MSP’ stands for, we have yet to do so for MSSP. Instead of providing managed services in a general sense, as an MSP does, an MSSP works as a managed security service provider. You may be wondering: what’s the big difference? Look at it this way - by definition, cybersecurity doesn’t generally fall into the range of a typical managed service provider’s wheelhouse. Sure, some of their activities may touch upon some cybersecurity basics, but the priorities of the MSP fall more toward productivity than they do protection, optimization than they do mitigation. The MSSP, on the other hand, dives deep into proactive defenses against the cyberthreats that menace business networks. They’ll keep watch over your security solutions, restrict network and system access to only your employees, and otherwise keep a vigilant eye out for threats and malicious moves against your organization. The sole purpose of an MSSP and its service offering is to protect your organization from threats. However, that’s all they do, which is fine if you already have a separate and effective IT solution in place - which might not be the case for many businesses. Here at Dresner Group, we don’t differentiate between an MSP and an MSSP - mostly because we offer all of the services that are listed above to our clients, in addition to many others. At Dresner Group, our view is that providing support as an MSSP is what an MSP should already be doing. From where we stand, we see this “MSSP” label thrown up a lot. 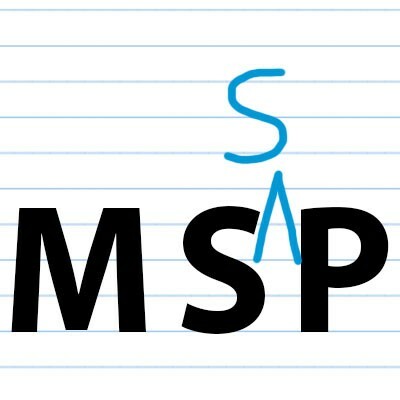 If we’re being honest, it’s used especially by those who we wouldn’t even consider real MSPs, those who seemingly can’t deliver on the promises that the term MSSP brings with it. Don’t get us wrong - there are plenty of legitimate MSSPs out there. 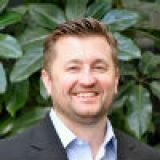 However, an MSSP won’t deliver the productivity-boosting benefits that an MSP will, while most MSPs will only offer relatively rudimentary security as a nice side effect of their remote monitoring and reporting services. This is where we’re proud to stand out from the crowd, as we offer both productivity and security solutions. Firewalls and antivirus solutions to stop malicious code from infiltrating your business network. Content filtering to prevent employees from accessing inappropriate content on company devices. We also help to preserve your organization’s security by implementing additional solutions, protecting your email correspondence through encryption, ensuring your continuity with backup solutions, and keeping an eye on your business’ location. Our philosophy is this: we are a service provider, dedicated to providing the IT services that businesses need in order to be more than just operational - that they need to be truly successful. In today’s environment, this must include the ability to resist the cyberthreats and other malicious activities that threaten your business, as well as the tools and services to help your business grow. If you’re interested in enjoying the benefits of both of these approaches, reach out to Dresner Group at 410-531-6727.